My 16 year old Trane A/C-Heat system started nickel and diming me for the past 3 - 4 years and I have had some issues with it on occasion. I had the condenser fan replaced, a couple of relays and sensors in the heating system. The supports on the coil was rusting away. When we woke up on Wednesday morning the inside temperature was quite cool so checked the thermostat. The inside temperature was about 5 degrees cooler than the set point. I checked the air vents and the air coming out was cool. I turned the thermostat to off and waited about 15 minutes. The blower fan didn’t stop, so went in the attic and turned the main switch off to stop the fan motor. I had heard some good things, through friends and family, about Brazoria Mechanical Services and decided to call them. Chris Coneley, the owner answered and I told him what the problem was. He came out that day and told me the flame sensor was the problem and told me what it would cost to repair it. After having had a similar problem last year and with the past problems I have had I asked him to give me a price for a new system. It was a good price so I told him to order it and install it. This was on Wednesday. He said he would be out on Friday to install it. He was here about 9am and put in a Rudd 16 SEER system with a matching coil and a new heating system. He had a crew that came out with him and it took them about 4 hours to get the old system out and the new one in. He did the install in a very professional manner. This system is much quieter and should be more efficient. I highly recommend this company. 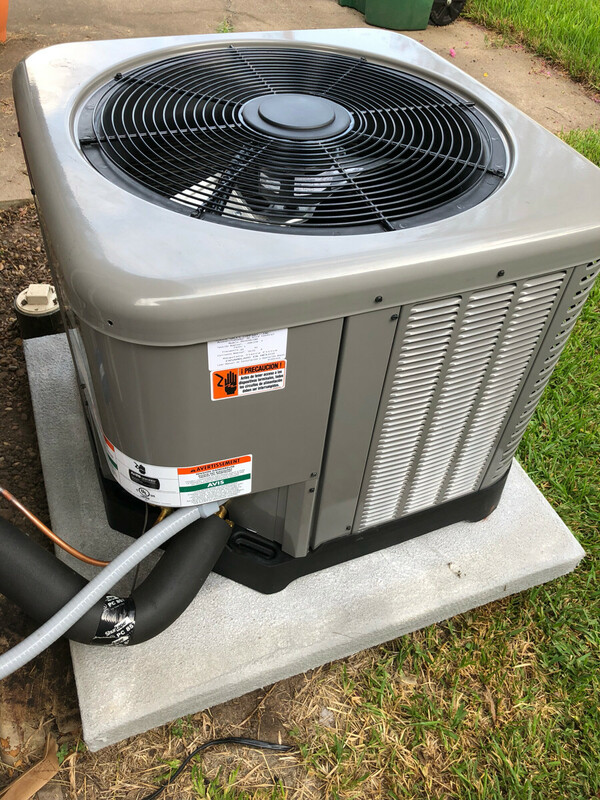 My husband and I recently had to replace the HVAC system in our home and we chose Brazoria Mechanical Services to do the job. Chris was responsive to our inquiry and gave us options when we were ready to select a new unit. He is very knowledgeable, professional and shows up when he says he is going to. Also, I was pleasantly surprised that the replacement was completed in one day! We'll definitely use them again. Review by Joe Haas Jr.
Quick, Honest & Great Service. Had my furnace back up and running in no time! Thanks! Chris arrived on time, fixed my AC and the cost was reasonable! Very professional! Good, down to earth folks!